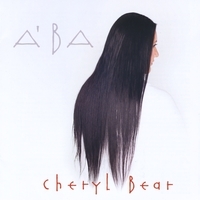 The newest CD by Cheryl Bear is called A' Ba. A' BA means Father in a few Native languages. This CD is about prayer, purification and pain. It tells honest stories and has many drum songs. The newest CB by Cheryl Bear is called A' Ba. A' BA means Father in a few Native languages. This CD is about prayer, purification and pain. It tells honest stories and has many drum songs. There are a few songs that are more laments than anything. Our Native people have always known Creator. We have ancient stories that tell us to honour the Creator. But we have a limited knowledge of this Creator. Creator is revealed to us through Jesus who said, "If you have seen me, you have seen the Father." God is so good and longs for us to know him and to be healed.